Dr. Robert Forche and Dr. David Kristal specialize in the movement of teeth and correction of adverse jaw growth problems. Evaluating and diagnosing each individual patient’s dental development, presents a slightly different challenge for an orthodontist. There are many factors at work and different approaches that can be used. In severe situations, permanent tooth removals may be required to create the necessary space for others. However, no one enjoys having their teeth extracted and we try to avoid this option whenever possible. Fortunately, there is another way. By using a child’s natural growth spurts, a savvy orthodontist can avoid the need for tooth extractions if he evaluates a patient at an early age. Children usually have a couple of predictable growth spurts. The first generally occurs around 8 or 9 years of age, right before puberty. Another one will typically follow during puberty itself, which falls between 11 or 12 years. During these growth spurts, the face and jaw will grow. The strategy is to harness this natural growth and combine it with braces and/or appliance to create more room for teeth if needed. 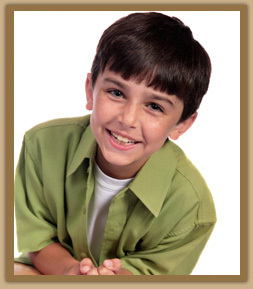 Since timing is everything, it is important to have your child evaluated by an orthodontist at a young age. It is generally difficult to know for sure if your child will need orthodontics until his or her permanent teeth begin to erupt. However, important forecasting clues can be understood by a trained orthodontist. The American Association of Orthodontics recommends that your child be examined by an orthodontist at age 7 to determine if early orthodontic treatment is needed. Treatment is much easier if evaluated and started before problems worsen and vital growth spurts are lost. It is not necessary to be referred by your general dentist for a complimentary orthodontic evaluation at Kristal and Forche Orthodontics. Be proactive and contact our office to schedule an appointment. If your child does not require early interceptive treatment, our doctors will continue to monitor your child’s dental and growth development in our complimentary supervisory program to determine the right time to begin treatment, based on your child’s needs.